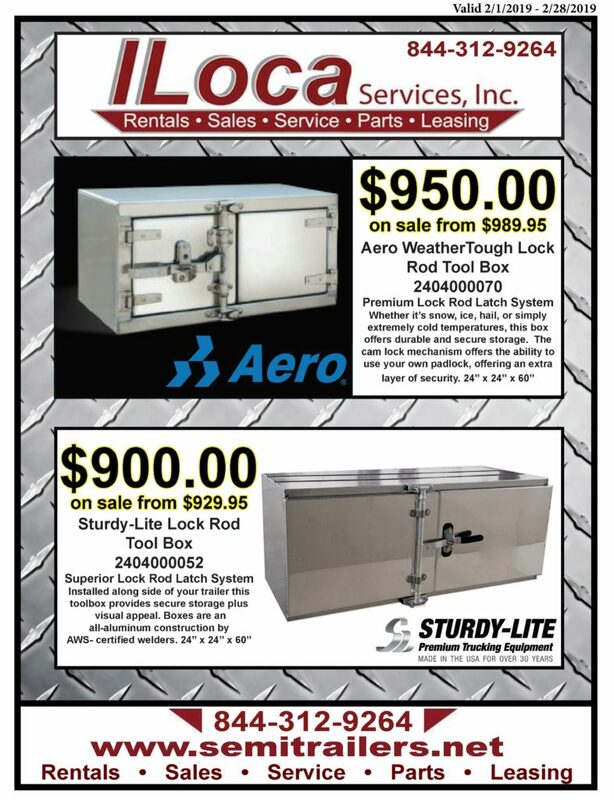 Parts Flyer February 2019 - Tool Boxes on SALE! | ILoca Services, Inc.
A variety of makes and models available from the highest quality vendors you trust the most. Aluminum Tool Boxes are always available and in stock at the ILoca Parts Superstore. Fontaine T-Latch Handles 24” x 24” x 60” NOW $600.00!!! *18”H x 18”D x 60”L & 18”H x 24”D x 60”L sizes also available.